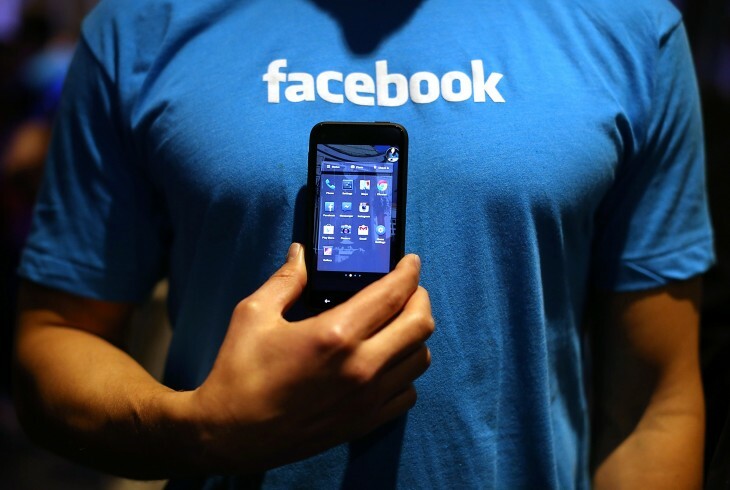 Facebook has released an update to its Messenger iOS application. In this latest version, users will find the return of the popular delete-by-swiping feature and the addition of stickers. Yes, folks. 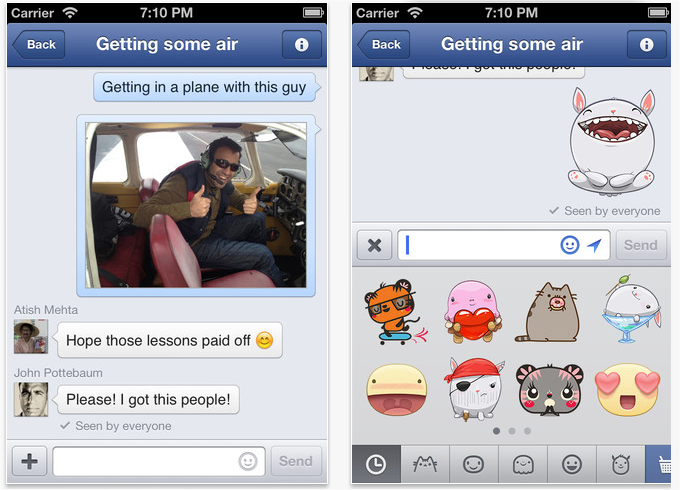 The stickers have now spread to Facebook’s popular Messenger app. Having been added to its main app, the social networking company felt it best to extend them to its stand-alone communication app. As Facebook for iOS was updated last April, users saw that it included a few similar features that came with its Android launcher Facebook Home. Included in that release were chat heads, a revamped News Feed, and, of course, stickers. As is perhaps expected, once a feature is released for the base app, it’s only a matter of time before it gets released to the standalone app that does the same thing, and vice-versa. Case in point, when Facebook Messenger received VoIP calling capabilities, a couple of weeks later, Facebook’s native app was able to do the same through its message feature. In order for people to use stickers, Facebook says that users can tap the smiley in the Messenger text box to pull up a bunch of available stickers. Tap on one to insert it into the conversation. It is also offering premium stickers too that users can purchase by tapping on a basket icon in the app. While stickers are great, it’s important to note that it is being released slowly. Over the next few weeks, Facebook will make it available to a set of its users until everyone has it. If you’re an Android user, don’t fret because your version of Facebook Messenger already has stickers. Another update to Facebook Messenger for iOS includes the return of the popular delete-by-swiping feature. With this option, users can delete conversations from their inbox just by swiping on the screen. This will not only surely save time to get rid of all the different conversations you no longer want, but also looks pretty cool.